Product Name : 750mW Polarization Maintaining Beam Combiner/Splitter (1450nm) Description: These Polarization Maintaining Beam Combiners/Splitters combine two orthogonal polarization signals into one output fiber. 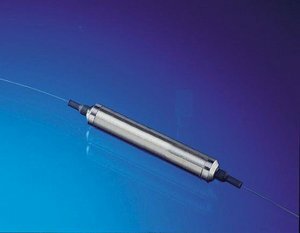 The most common application is to combine the light of two pump lasers into a single fiber to double the pump power to an Erbium-Doped Fiber Amplifier (EDFA) or a Raman Amplifier. The typical configuration uses two PM fibers for the input and the SM fiber for the output. Optical isolators can block backflection and backscattering in the reverse direction at any polarization sate. They have low polarization mode dispersion(PMD). 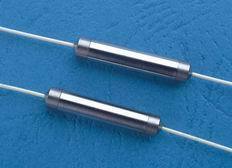 The optical path is epoxy-free, thereby enabling high-power applications. It is used in applications to prevent unwanted feedback into the system. Meanwhile free samples can be supplied for your test. So if there are problems with the goods,replacement will be available. Gezhi Photonics (Shenzhen) Technology Co., Ltd.
2. Providing product specification and detailed test report; 3. One year warranty. 4. Must reply within 24 hours after receiving customers&rsquo;notice of quality problems. 5. Regularly survey,collect quality improvement suggestion from customers. These devices minimize the back reflection and back scattering in the reverse direction for any state of polarization. 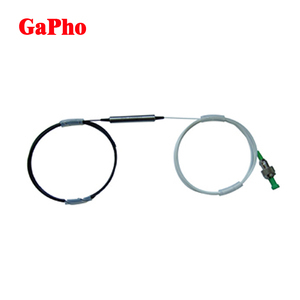 It has been widely used in EDFAs, Raman Amplifiers, DWDM systems, fiber lasers, transmitters and other fiber optic communication equipments. 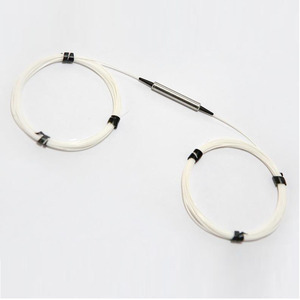 It provides low insertion loss, high isolation, high extinction ratio and low temperature sensitivity. Isolation at 23&deg;C dB 30 45 Typ. IL at 23&deg;C dB 1.4 2.3 Max. PDL at 23&deg;C dB 0.15 0.15 Max. 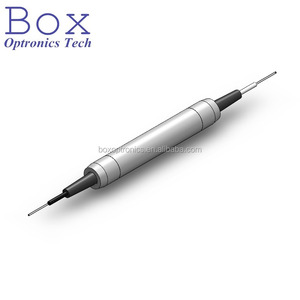 Single or dual stage Polarization-sensitive optical isolator with connector Optical isolators can block back lection and backscattering in the reverse direction at any polarization sate. The optical path is epoxy-free, thereby enabling high-power applications. They are based on the micro-optics package technology and featured with the best stability and reliability The products are Telcordia GR-1221-CORE qualified. 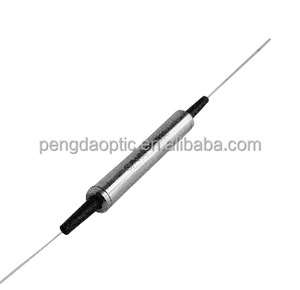 980nm Polarization Insensitive single stage fiber Optical Isolator Optical isolators can block back lection and backscattering in the reverse direction at any polarization sate. The optical path is epoxy-free, thereby enabling high-power applications. 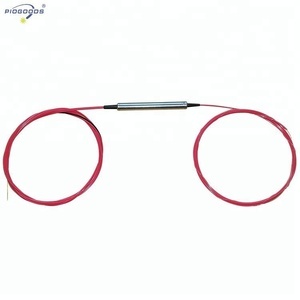 They are based on the micro-optics package technology and featured with the best stability and reliability The products are Telcordia GR-1221-CORE qualified. * For devices with connectors, please refer to patchcord spec. 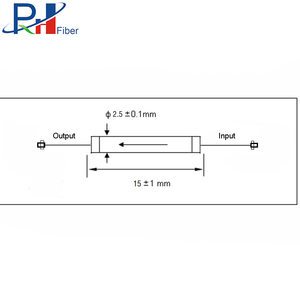 , the "fiber length" is with connectors. * Other WDM function can be customized. 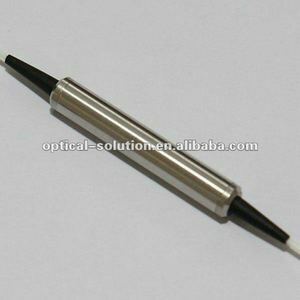 The devices minimize the back reflection and back scattering in the reverse direction for any state of polarization. It has been widely used in EDFAs, Raman Amplifiers, DWDM systems, fiber lasers, transmitters and other fiber optic communication equipments. 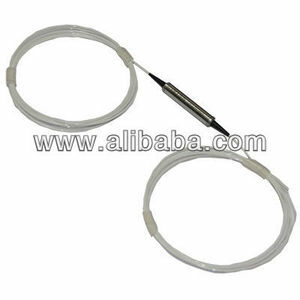 It provides low insertion loss, high isolation, low PDL and low temperature sensitivity.